With squash in peak season, this recipe combines a variety of winter squash, including butternut, kabocha, acorn or any of your other favorites. 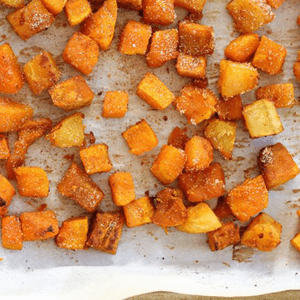 The savory seasoning calls for smoked paprika and cayenne pepper for a flavorful side dish that tastes like pure fall. Preheat oven to 400°F. In a small bowl, combine the onion powder, garlic powder, smoked paprika, cayenne, salt and brown sugar. In a large mixing bowl, toss squash with butter and olive oil. Add 1 tablespoon (15 ml) of the spice mixture to the bowl and toss well to coat. 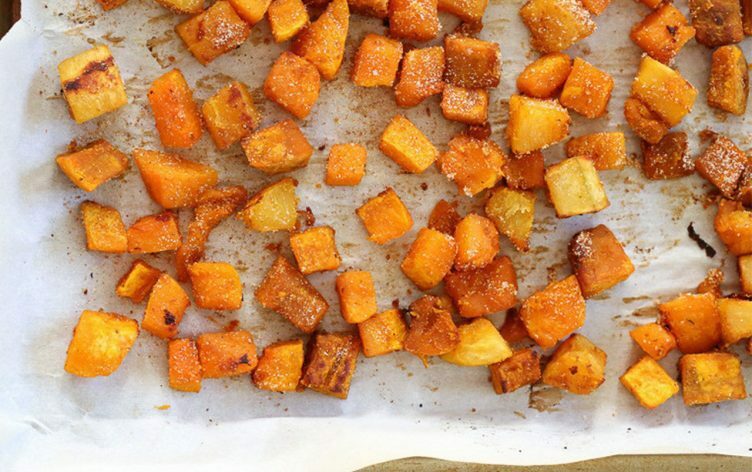 Place squash on a sheet pan lined with parchment and bake for 40–45 minutes, tossing every 15 minutes, to allow for even browning. Finish by sprinkling with 1 1/2 (7.3 ml) teaspoons additional spice mixture. Toss gently to coat and serve hot.